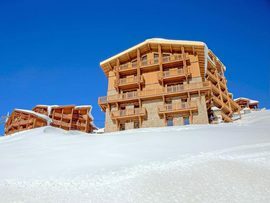 The Hotel Pashmina Le Refuge was newly unveiled in December 2015 and invites guests to enjoy a unique 5 star experience in the galaxy of the 3 Valleys. 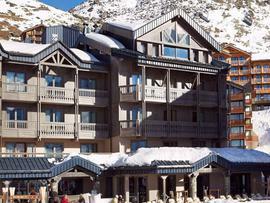 The Hotel Altapura is a luxury 5 star hotel set in the heart of Val Thorens, offering a majestic alpine setting and a glamorous style of living. 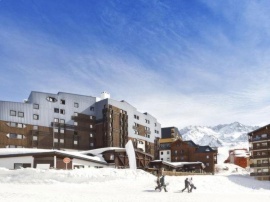 The 5 star Hotel Fitz Roy is the peak of slopeside luxury, centrally located in the heart of Val Thorens and providing an elegant, comfortable chalet-style stay. 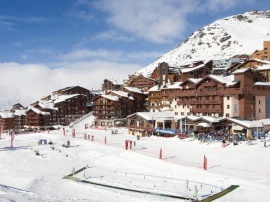 Recently-renovated and located at the foot of the slopes in the centre of Val Thorens, the Hotel Club MMV Les Arolles is the ideal starting point for an action-packed day of skiing in the 3 Valleys. 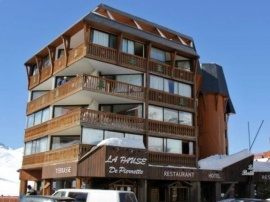 Located at the foot of the ski slopes, on the way into Val Thorens, the 4 star Le Hameau du Kashmir boasts great views and enjoys the best of the sun. 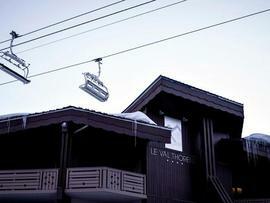 Hotel Le Val Thorens was one of the first hotels to be built in Val Thorens; now completely renovated, it combines modern design with the traditional feel of a warm family chalet. 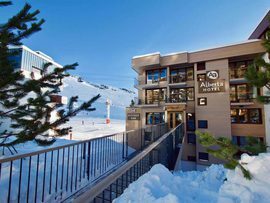 The Hotel Alberta occupies a quiet location in Val Thorens with ski-in ski-out convenience and within easy reach of the ski school meeting point. 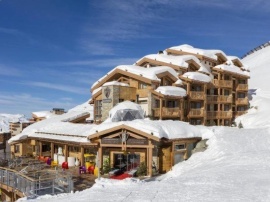 The Hotel Club Les Neiges is conveniently located on the slopes of Val Thorens and is a great choice for families, with its own Kid's Club for all ages and quad and triple rooms available to book. 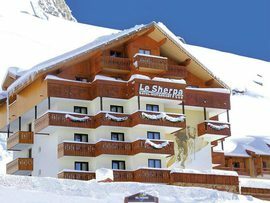 The Hotel Le Sherpa occupies a superb position Val Thorens, with a ski-in ski-out sunny terrace and just a few minutes walk from the shops and bars of this buzzing resort. 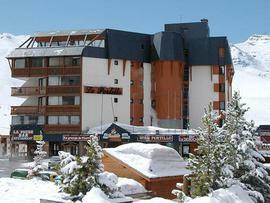 Located in Val-Thorens, Résidence Le Val Chaviere is situated in the Vanoise National Park, close to the Italian border. 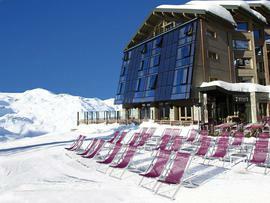 It features fully equipped apartments with balconies that offer superb views over the Alps. 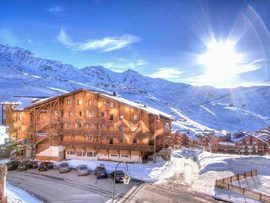 Les Balcons de Val Thorens is located in a peaceful area right at the top of the resort and the residence offers great access to the slopes. 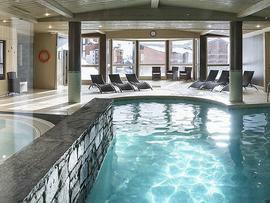 In addition, within the residence there is a fantastic wellness centre that all guests have free access to, it really is a great place to relax and unwind after a day on the slopes. 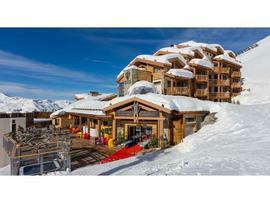 The Les Balcons Platinium is a prestigious, newly built residence located directly on the slopes in Val Thorens. Built with traditional features using stone and wood, it offers ski-in ski-out access and has superb facilities for your enjoyment and relaxation. 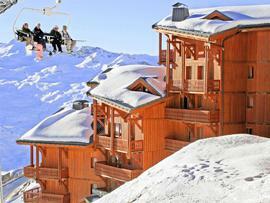 Located in central Val Thorens, Hotel Pashmina Le Refuge is raising the bar with luxury self-catered apartments. Each of the spacious, modern apartments has a fully equipped kitchen, a balcony to enjoy the stunning mountain views, wood burning stove and most have a Jacuzzi bathtub. 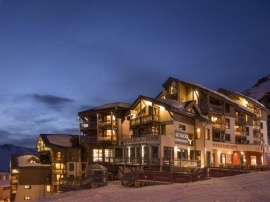 Quaint and quiet, these 3* apartments with a great location in the heart of Val Thorens allow door-to-door skiing as well as easy access to the village. 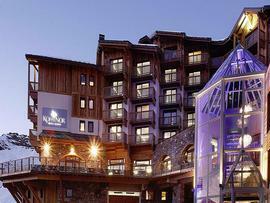 These alpine-style apartments are warm and comfortable. Their spaciousness makes them perfect for families and friends, creating a true home away from home.